As indicated in the last few posts, Didier Rosada talked at length about bread flour during last month’s Artisan III workshop at SFBI, detailing the testing process by which the miller determines the ash content, the protein content and the enzymatic activity. At the end of his lecture on flour, he offered a brief recap of what to look for in a bread flour for the purpose of artisan baking. These are only guidelines and a baking test will be needed for each new flour. According to Rosada, it is best for the baker to work with big mills as small mills seldom have a lab and may also lack access to different crops. If a local crop is bad, then flour quality will be poor because the miller has already contracted with the farmer to buy the crop, whereas a bigger mill can mix different qualities of wheat to produce a flour with the required specs. However working with big mills may come in conflict with the wish to eat local. Pros and cons will need to be weighed. Stone-ground isn’t necessarily better. Very old-style mills with hand-sharpened millstones may yield flours with poor baking properties. Romantic notions notwithstanding, if your flour comes from an ancient mill still equipped with millstones which the miller sharpens himself (such mills are becoming rarer and rarer but still exist. If you’d like to visit one and can read/understand French, please click here), you may be able to make a terrific “miche” but it will very difficult for you to produce a perfect baguette. its falling number is a minimum of 220 and a maximum of 280. 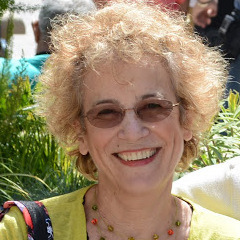 I was first told by the “customer information specialist” who provided these details that the information was proprietary but when I wrote back to insist, she relented and allowed me to share it on the blog. She also asked me to make it known that the information provided was based on current product specifications and could change without notice, suggesting that Whole Foods “guests” always refer to the product labels for the most recent information. their spec sheets can be found on King Arthur’s website: here for conventional flours and here for organic ones. However before the intervention of said kindly customer service rep, I had received a rather less amiable reply from another rep to an inquiry regarding protein content. Here is the text of my initial message: “Hi, I am trying to find out about the protein content (quantity and quality) of various flours, including your AP and bread flours. 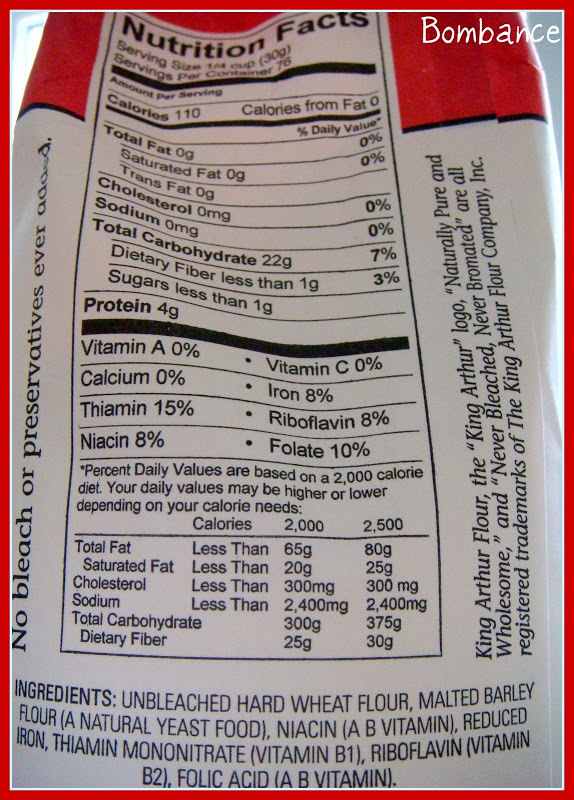 It is indicated on your website that your AP flour contains 11,7% of protein. However when I calculate the percentage based on 4g of protein in 30g of flour, I get a different number. Please explain why. Also please indicate if your AP is made of a blend of spring and winter wheat” (I had divided 4 g by 30 g and gotten 13.3%). And here is the reply I received: “Our All-Purpose flour is milled from hard wheat flour, but not necessarily a blend of winter and spring wheat. It is almost impossible to calculate the percentage of protein from the flour bag, because they round things off so much. 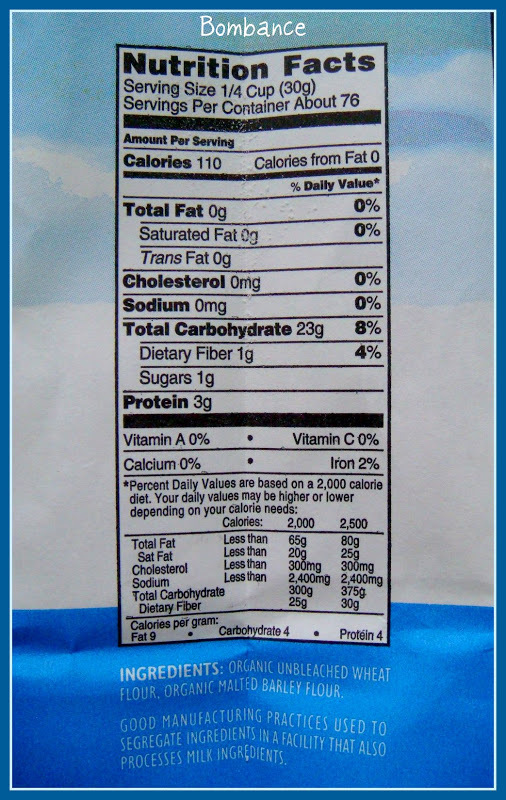 The all purpose flour that you received is 11.7% gluten however the nutrition label states the protein as 4 grams not percent. Comparing grams to percents is like comparing apples to oranges, two different units of measurements for the same thing. A percentage is a part divided by a whole. The part of the flour’s weight that’s protein (4 grams) is divided by the whole weight of the serving (usually 28 to 30 grams). The result is the percentage of protein in the flour. 4 divided by 30 = 13.3, yet we are saying 11.7. This discrepancy is the way everything can be rounded off. Eg. 4 grams of protein can be anything from 3.5-4.4. The 11.7 could be rounded to 12. I hope this helped to clarify”. Indeed… In any case, in the end I had the info I wanted and now so do you. The Costcos here in Oregon (at least those I've seen) carry God's worst quality flours. Don't know about CA – BTW, where is northern California? Down in LA, they assume northern CA ends with the Nappa Valley. I guess I should have been more specific and said the Bay Area! I know that Costco offers that flour in San Jose and I have seen it as well in Richmond, near Berkeley. Your write-up about KA's AP flour is very informative. Thank you. I had read it once before but had just re-read it. Now, may I take it one step further? The gluten of KA's AP flour is 11.7% +/- 0.2%. When I was doing James MacGuire's classic French baguette dough (now remember he goes by what he learnt from Prof. Raymond Calvel), it was explained that French people are very particular about the flour they use especially for artisan baking. In the absence of the French T55 flour in North America, MacGuire suggests that we use KA's AP flour. In his article entitled "Baguette" in the Art of Eating magazine (double issue 73+74) MacGuire says the French look for protein typically 9.7 to 10% using North American measurements. So, really, even KA's AP flour seems like a lot of gluten for the French! Also, there is another French flour, T65, that they mention is good for artisan baking (its protein would be in between 10 and 11%, right?) My question is have you ever used T55 and T65 before? In Australia, for pastry baking, we have two categories of flour: "plain flour" and "self-raising flour." It was explained to me that "plain flour" is equivalent to the American AP flour and "self-raising flour" is like your pastry flour or something like that. However, the protein of our "plain flour" is more like the French T55 and T65 at around 9.5 to 10.1%, depending on the brands. Isn't that interesting? Now, a baker at Sourdough.com had just told me that he used "plain flour" to bake and the crumb is softer and spongier than using bread flour. I don't know if you remember that I said recently we have a new French bakery in my neighbourhood. The crumb of their classic plain sourdough is softer and creamier than my plain sourdough made of bread flour. So, I am suspecting that they too use Australian "plain flour" (instead of "bread flour") to bake. My question is what is your experience with lower gluten (protein) flour? And, what does Gerard Rubaud say about T55 and T65? Hi, SP, no, I have never baked with T55 or T65 and actually neither has Gérard. At least he doesn't recall French flours being classified that way when he was an apprentice. "'Type' refers to the proportion of bran and wheat germ that remains in a particular flour at the conclusion of the milling process, the higher the type number, the more bran and germ in the flour. In simplest terms, type follows color, with the whitest flour designated type 45, and whole wheat flour, using the entire wheat kernel, called type 150, and with types 55, 65, 80 and 110 in between. This six-type French flour categorization system, used by supermarkets as well as millers, explains in part the difference between French flour – available in a wide range and variety – and our bipartite white-whole wheat American supermarket flour. It also goes partway to explain the subtle differences in the lightness and taste of Monsieur Choquet's various loaves, which possess delicate differences in their contents of bran and germ." The miller explained to Faber that "many French millers, such as he, fortified their ordinary bread flours with American wheat as well", saying "we incorporate American wheat at a rate of ten percent in our ordinary flours" and further revealing that there "is a type 45 pastry flour made of pure American wheat". "The most important difference between American and French wheat, he explained, is that French wheat, winter wheat – wheat that is planted in the fall, grows a few inches, lies dormant over the winter, and resumes its growth in the spring – is mostly starch, while spring wheats grown in cold zones like the Dakotas and Canada are suppler and have a higher protein content". The miller also said that there was no American flour in his organic flours. As a matter of fact, "organic farmers and mills that produce organic flour, like all other French producers of organic products, are inspected and recertified every year by Qualité France" (which probably automatically excludes imported flours since control would be difficult, if not impossible). Reading this, I was reminded of Gérard adding a percentage of freshly milled red spring wheat to his levain and including some as well in the the blend of whole grains he uses in each batch. When asked why, he replied that it was too provide some strength to the dough as well as to ensure a better crumb structure in the finished product. The bulk of the flour he uses in his bread is hard red winter wheat (aka all-purpose flour). I once tried King Arthur French-style flour (which was as close to T-55 as you could get here from what I remember reading) but I didn't much care for the consistency of the dough I used it in (too slack, I thought) or for the taste (quite bland). Yes, that is helpful. Thank you very much. T55 and T65 are considered the classic flours to be used for French artisan baking. And yes, because of lower protein, the dough can be "slack" as you said. I am surprised that you said the taste was "bland" (but of course that was with KA's french style flour, not the actual T65). The people who advocate T55 and T65 always say the taste is "delicate." These are also the people who would agree to Gerard's statement that high gluten flours are for making car tires. I guess tastes can be very subjective. "T55" or "T65" specify *only* an ash content. So French T55 flour can be all over the place in terms of its baking qualities and, indeed, its other measurements. Supermarket flour in France is often terrible — but, at least when I lived in France almost 20 years ago now, nobody baked bread at home, so that's no real surprise. I'm told some of the French organic flours are wonderful. Two things to consider about French flours in general. They will all be made from *soft* wheat, unless they're made with imported wheat: French wheat production is almost all soft wheat. Also, they will be much more finely milled than American bread flours — close to pastry or even cake flour, or in something a little higher protein, the "Italian 00 style" flour used by some pizzarias. I have begun to suspect that unbleached pastry flour, with its baking properties improved with some malted barley flour, might be the closest easily available match in the U.S.. Though White Lily, a Southern producer, does make a bread flour which is supposedly from soft wheat. I'm very curious about that one. Straight pastry flour won't work well as (since there's little reason to) its fermentation properties aren't well controlled. I don't care for the KA "French Style" flour either. I find it has basically no taste. That is very interesting that you said French flour is almost all from SOFT wheat. I didn't know that. I just automatically thought that since hard wheat flour is more suitable for artisan baking that French flour would be mostly hard wheat. MC, isn't that interesting that Didier, a Frenchman, said that hard (winter) wheat is better suited for artisan baking. Is he saying that because his audience is American people? Your picture of the miche on the top of this post is amazing. What sort of flour did you use in there? It's possible I misunderstood the conversation I had about this years ago — or that I'm not remembering it right. I didn't bake bread when I was in France; what I learned about French flour I learned while trying to get some decidedly non-French pastries (cookies, pie crust) to come out right. http://www.thefreshloaf.com/node/10182/french-and-american-flour-123-formula#comment-60375 (it calls French wheat "semi hard" or "medium soft"). Also, I saw a presentation once which I think Tod Bramble at KA wrote, which said hard wheat was introduced to North America by russian emigres late in the 19th century. That too would imply that historical Western European wheats were soft. If it's true that all French wheat is soft, I think that would imply higher extraction and then better sifting if the ash level is still comparable to American artisan flours, since most of the actual bran would have to go. So another thing I'm interested in is the possibility of mixing a white whole wheat flour with a soft-wheat flour like a pastry flour to try to approximate the extraction and ash levels of the European flours. But I have a long list of experiments to do! Maybe I'll get to them one of these days. As to hard winter vs hard spring wheat, my understanding is that among the hard wheat flours commonly available in North America the winter wheat flours give a more extensible, workable dough at the same protein level. I assume that's why they'd be recommended by an artisan baking instructor, since soft wheat bread flour almost doesn't exist here. Thank you, Thor Simon, I had also just read the information for which your link provided. If soft wheat almost doesn't exist, what wheat is used for pastry flour? Thank you. Soft wheat is used for pastry flour in the U.S., but generally not for higher-protein bread flour. This is going to make U.S. bread flours qualitiatively different from ones in countries where bread flour is made from soft wheat. I don't know enough about grain science to be able to do more than speculate about all the differences but I am guessing one major one is that, at the same protein level, soft-wheat bread flours must be higher extraction. The Miche picture you had on the top of this post is amazing. What kind of flour did you use for that? Stiff levain or liquid levain? What was your overall dough hydration? Hi, Shiao-Ping, sorry, I thought I had replied to your question but I forgot. I think that this miche was one of those made at SFBI by Safa Hemzé for an ancient flour tasting. It may have been based on an amaranth liquid starter. That's all I recall about it. That is a magnificent miche, isn't it? You don't normally get such open crumb for miches. In fact, none of the miches that I have ever seen has crumb like that. Thank you. That is something for me to aspire to. 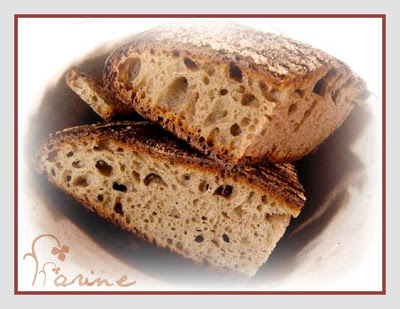 In France, artisan bread is made with T55 flour. This is by government decree. Hello gbob and thanks for stopping by and thanks for the video link. The bread is truly beautiful. However artisan bread isn't made only with T55 bread in France. Actually most bakers I know in France nowadays use T65 for their baguettes "de tradition française" which is one of the reasons why the crumb is more ivory than white. Artisan bakers may also use T90 and sometimes T110 (the higher the number the higher the ash content), depending on the kind of bread they want to make. A whole-wheat bread may contain mostly T110 flour for instance. While the government doesn't prescribe the ash content, it does make it illegal to use additives (except for a handful which are explicitly listed) or to freeze or parbake the dough and still sell the bread as artisan bread, etc. The full text of the decree can be found at http://www.boulangerie.org/qualite/tradition.htm. I know this comment is a few years late but I have had similar discussions with flour mills in my search for good organic flour in Colorado. I finally found a fantastic mill in Western Kansas that mills some fantastic flour. They not only provided me with detailed info on protein content, wheat content, ash, absorption, and falling numbers, but web links to the individual milling batch data as these numbers change based on the batch of wheat being processed. I simply have to refer to the lot number on my bags of flour and look up the data on the internet. What is the name of that mill? Is their flour available to the public?